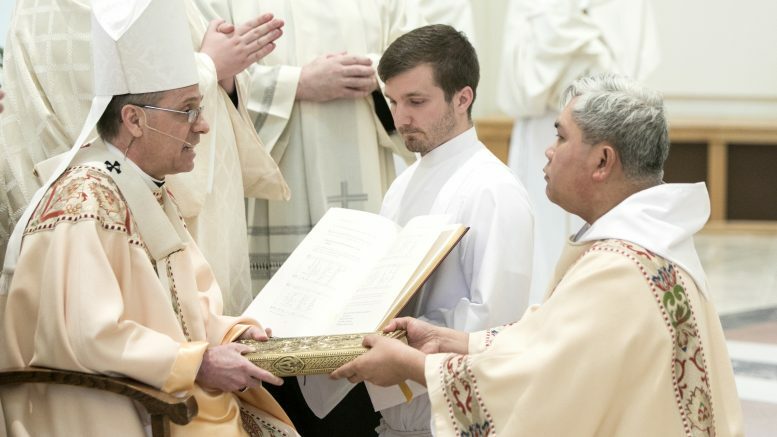 On Saturday, April 7, 2018, three seminarians were ordained deacons in the Archabbey Church by Archbishop Charles Thompson of the Archdiocese of Indianapolis. 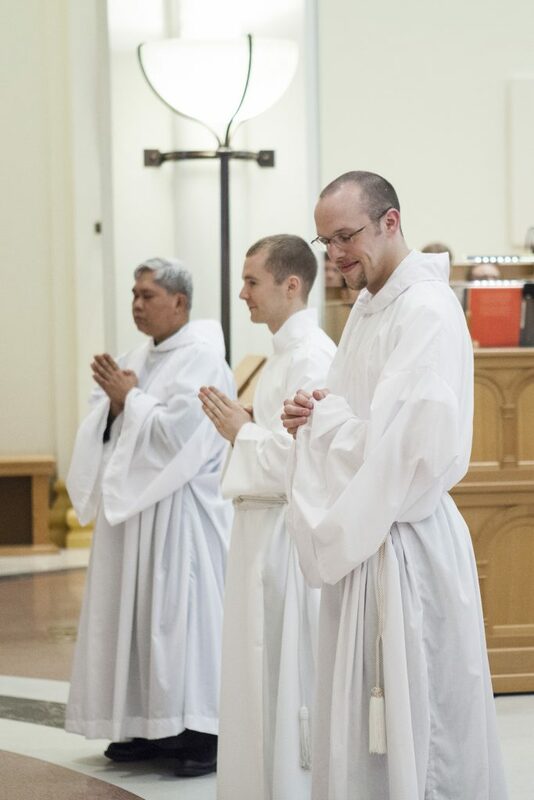 The seminarians ordained were Tim DeCrane and Vincent Gillmore of the Archdiocese of Indianapolis and Br. Damien Evangelista, OSB, of Prince of Peace Abbey. 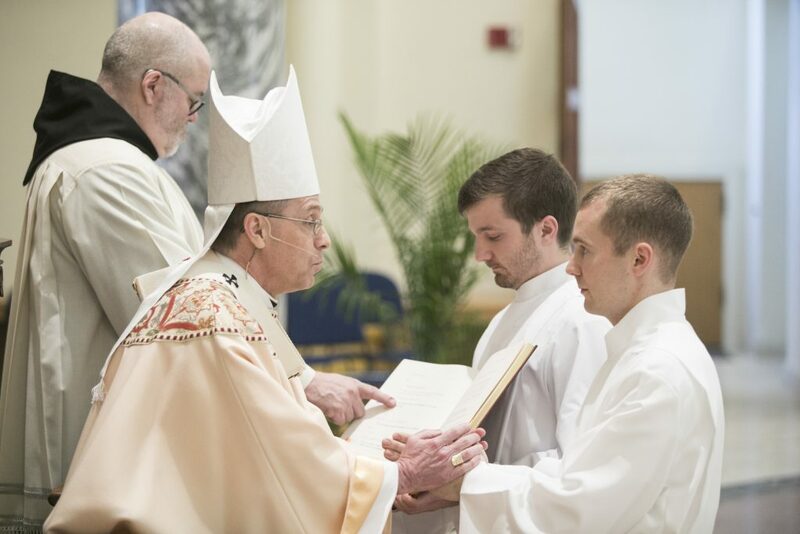 Three seminarians received the order of deacon from the Most Rev. Charles Thompson, archbishop of the Archdiocese of Indianapolis April 7th at the Saint Meinrad Archabbey Church. Others in their class will or have been ordained deacons in their respective dioceses. In the Catholic faith, a deacon can preach, baptize, witness marriages, offer Communion to the sick and aged, and perform other ministerial duties. The newly ordained deacons are transitional deacons, meaning they are preparing for ordination to the priesthood. Many Catholic dioceses also have permanent deacons, who carry out the same role, but are not studying for the priesthood. Be the first to comment on "Three Seminarians Received the Order of Deacon at St. Meinrad Archabbey"